Setup a free business page using Google My Business local listing tool and get listed on Google Search and Google Maps local search. 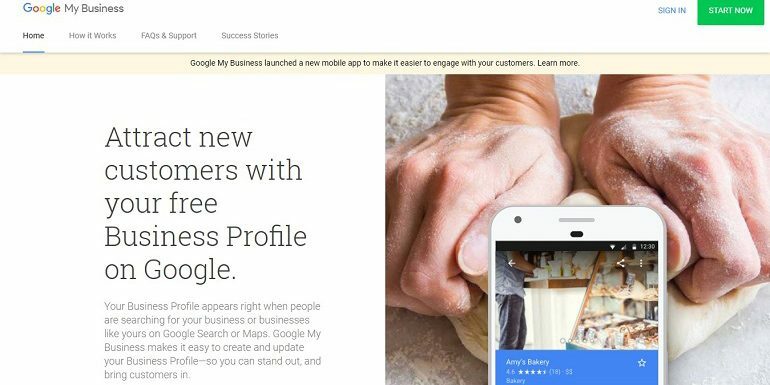 The Google My Business aka GMB is a free local business listing tool from Google to manage the online presence of companies and organizations for Google Search and Google Maps. By keeping your business information up to date, you can help users find and connect with you. The business owners can edit their online information anytime, anywhere for free. It’s easy-to-use and free for any business size or products. Edit & update your business, service or product information that users see on google search results or on maps. Get noticed in google search & maps when users search for products/services similar to what you offer. One can upload unlimited product images and videos to add more credibility to the business. Direct access to business contact details, official website/s or a physical location. Users get to see the price, offers, features & events related to your product/services within Google search results itself. Helpful insights and analytics about your listing and how users are interacting with your business online. Manage listings with GMB mobile app. 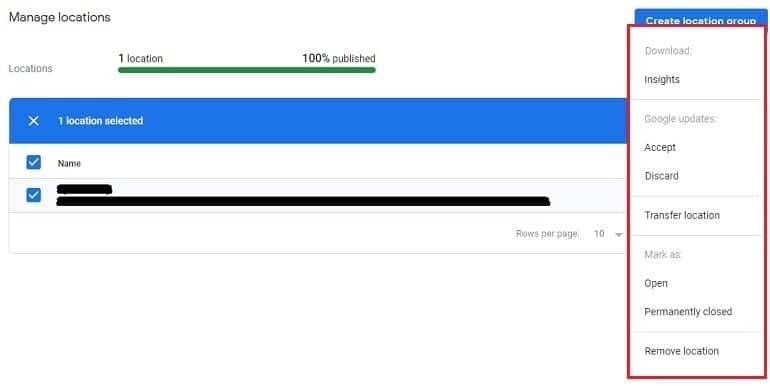 Advertisers using Google Ads can link it with Google My Business page and advertise their business page using Google Ads. Note: Google Business page is also called “Business Listing” or only “Listing“. Business Gmail Account(In India the cost of G-Suite is only ₹1500 per year for using all Google products @yourdomain. Check GSuite for business). The above information is mandatory to start otherwise the business listing won’t be authenticated. Assuming you have the above info let’s get started with the process now. Setup Google My Business Page? 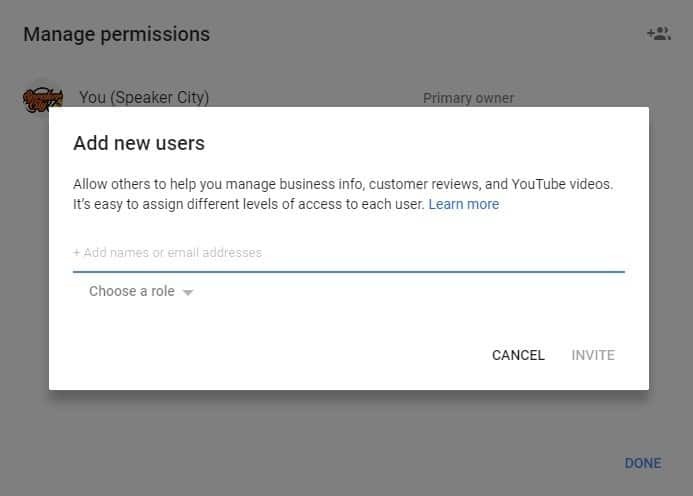 Log in to your Gmail account to initiate the process of Registration at Google My Business. Once you are in you will see the above screen that will ask the following questions in series. What is the category of your business? A 6 digit code will arrive in a postcard on the address that you mention in the above questionnaire. In order to authenticate your business online and to validate you as an owner of the business, the verification is compulsory. The verification process depends on the category you select. It can via a phone or via a postcard sent to your physical address. By the time your 6 digit code arrives you can update other business information on the home page (dashboard) as shown in the image below. Add hours, description and profile photo. At the top right corner, you have your company logo and exactly opposite in the top left corner you will see your business name. Elements like pending verification, complete your listing, create a post and managing your business on an app is visible. The create post feature is the best widget to showcase products, offers, services and share news using an image. Once your account is up and running you will be able to see the number of clicks and views on a given post. The info features need to be filled with all relevant and honest business information that a user will come across in a google search and on google maps too. 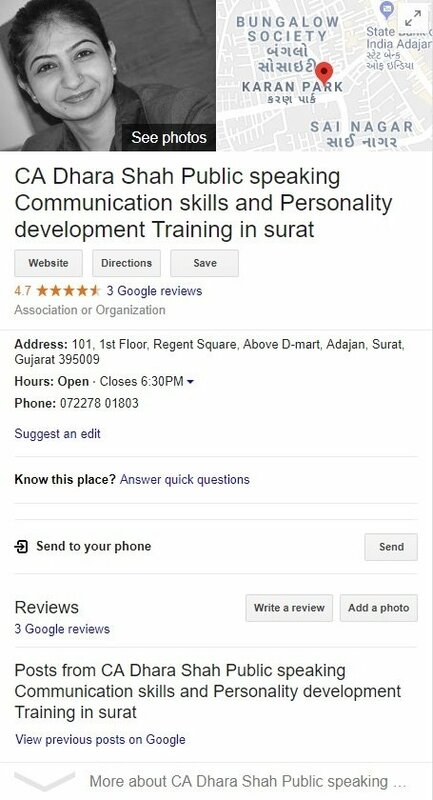 Refer to the image below as an example with the search query as communication skill classes in Surat. Insight data gives you a glimpse of impact on the appearance of your business on the google. These reports are in various formats based on search terms used by users on google search to find your business, ha an potential customer is searching your business, total views on search and maps, the most common actions that your customers take on your listing page, direction requests, phone calls, photo views and photo quantity. Reviews are an interactive part of this whole extravaganza. You can converse (view and edit) with your customer, reply to their reviews and thank them for reviewing the page. The best part is the whole conversation is displayed publicly which tempts other users to stay more on your page. Your business listing provides you with an option to set up a great business welcome message for users. Images are important assets for your business to communicate with your customers and your business page dashboard understands it perfectly. You can add a profile image, cover photo, and videos of products or services to get close to your buyer. One should always consider adding the following kinds of images and videos on their business listings in order to get more customer engagements. If you don’t have a business website it is high time you get one. Here is my step by step setup guide for anyone to get his website live in under 30 minutes or so. The user function provides you with an option to invite other users to join you on the listing page. You can add your team members or partners and assign them owner, manager and site manager roles. Just enter their Gmail address and sent an invite. This way a single business listing becomes a multi-user dashboard. Manage locations enables business owners to add, edit, manage or even remove a location. You can add one or more than one location. A business owner who is operating his/her business in multiple locations can use this features more precisely in order to stay nearest to the customer. Who Can Benefit from Multi-Locations? The multi-location feature can be useful to business owners like grocery stores, food joints, fast food chains, hotels, salons, spa, multiplexes, FMCG product sellers, fashion & garment product sellers, multiple showroom owners, shoe sellers, educational institutes, schools, colleges, coaching centers, and others. How to Remove a Closed Location? Upon selecting locations that are permanently closed and clicking the Action button you will get the above list of options. One can download insights, accept or discard google updates, mark or unmark existing locations and finally remove a dysfunctional one. Instead of removing a location one can go with marking it as permanently closed. This way you can still show up in google search with a closed location. The above image shows linked accounts. As in Google ads account is linked with the business listing page. Additionally, one can link their Google Merchant Center Account too. When google ad account is linked with the business listing what happens is you can advertise your location/s using location extensions in the ad campaigns. You will be able to see and advertise your location. 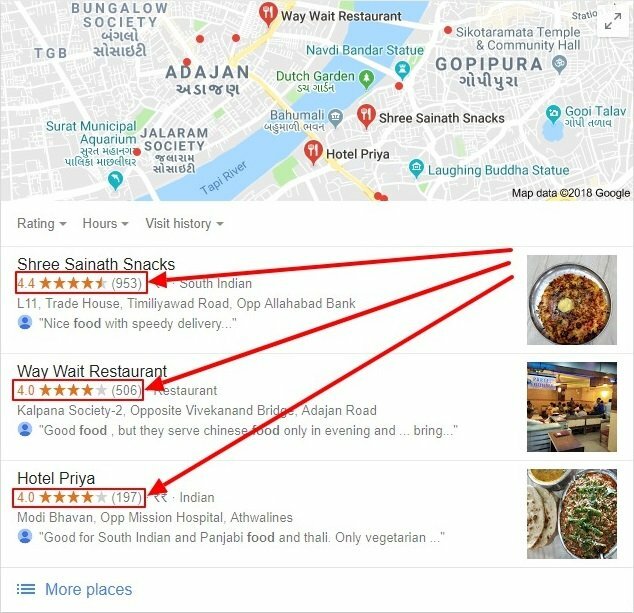 Business enterprises that are engaged in selling on multiple outlets can link their google ads account with all locations and show buyers the nearest outlets in search results. If you want to remove an account just click unlink and the linked account will be permanently removed. How to see Google Business Listing in Google Search & Maps? Click Home on the left panel and look for “Your Business is on Google” Widget. Refer below image. Let’s take the example of PVR Cinema. When you click View on Maps your listing card will look something like this in the search results like it’s showing of PVR cinema. See below. There’s a feature called Labels for Google Maps available in GMB dashboard. With the help of a label, you can tag your position with a category name to easily correlate with the buyer’s search. As you can see in the above image the Label is Multiplex. And the same you can see in the map area too in the image below. Labels tend to help users identify what kind of businesses they are looking at if they are randomly searching. Let’s say you are searching for a Samsung authorized service center’s location and directions. But what you see is all the mobile shop. If the business listing is labeled with an authorized service center tag then it would be easy for you to pick up the right one. 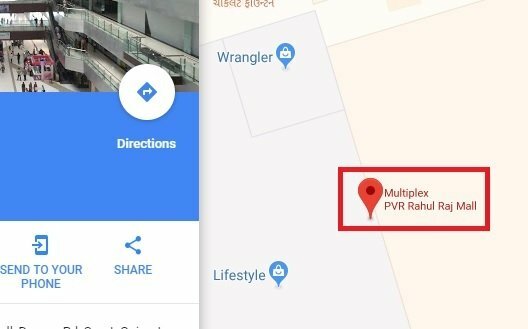 The following listing card is of PVR cinema in Google search results. When you click View on Search you will see your business card displayed in the same fashion. Upon on seeing the above listing cards, I guess you shall have understood why it is important to fill in all the details about your business in the back end. The more information you give the more love Google will shower for your listing. How Google My Business Can Help you with Local SEO? Local customer reviews impact directly on your business ranking in search results. The more you have the higher position you get. Moreover, that’s not a hard nut to crack. Once you are done with creating your business listing send both search and map links to your existing customers and ask them to review your business honestly. Click View on Search and View on Maps in the Your Business is on Google widget on the GMB dashboard. Copy the link from the newly opened search and map tabs. Send them to your customers. Getting your business reviewed on Google is a bit tricky in the first place as your messages would fade away soon in your customers’ inbox. You can offer them a small discount in return. 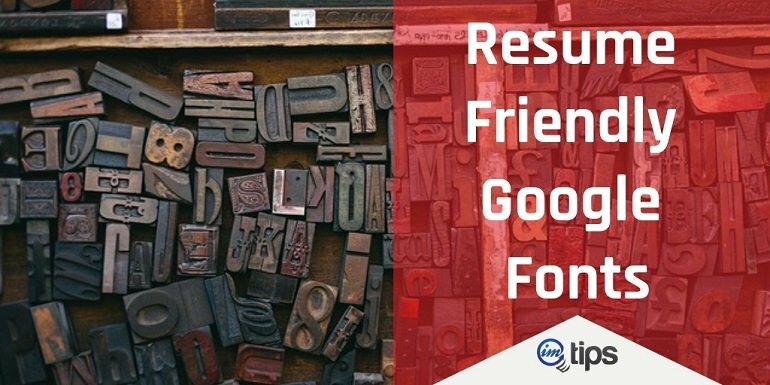 Apart from sending a link with a review request, you can also send a brief step-by-step PDF guide on how to review your business on Google. This seems of great help to non-technical individuals. I would suggest you check out one of my article on “How to Get First (Or Next) Customer Review on Amazon India?“. Though the article reads about getting Amazon reviews you can still grab some ideas on approaching customers for a legit online review. I would not go into much detail regarding on-page SEO because its a totally different story. Reviews, local citations, perfect business listings, images, videos etc. are some important traits but still, the on-page content of your website carries a large weight. It’s important that you dig maximum advantage out of your on-page content. Add your city or region with a relevant keyword in your landing page title tags, H1 tags, URL, content and landing page image ALT tags. Create SEO meta tags for all web pages and include the meta tag keywords in page contents. Being an experienced developer I would suggest that keep your website mobile-friendly. Local citations are an online reference of your business including your business name, address, and phone number (NAP). Your business citations help users to identify your local business on a different platform provided you maintain a consistency in citations. They impact local search rankings of your business largely. Now, if you want your business to be discovered locally then you need to concentrate on the essential components of a local citation. 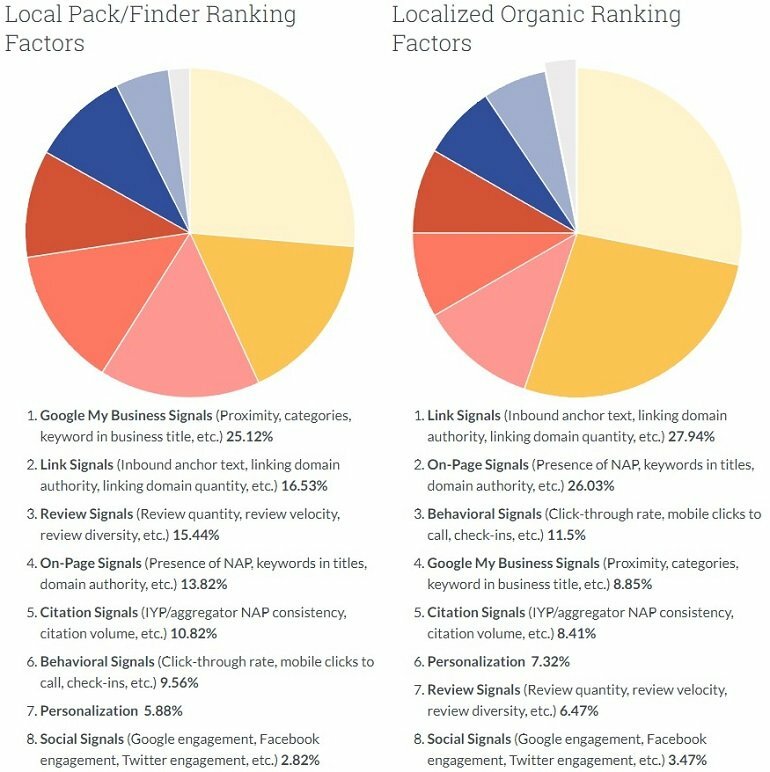 According to MOZ below mentioned elements are of high importance in a business citation. There may be an instance where business listing platforms may or not allow certain elements mentioned above. The key here is to give maximum information about your business without leaving anything blank. To sum up it up. . .